Panic set in in the East as the holiday season approaches, with owners chasing rates lower. Rates on the key West Australia/China route collapsed with business concluded at under $6.00 having touched $9.00 just a week before. Some owners were preparing to sit tight rather than chase rates lower. There was very little timecharter trading evident, but, brokers suggested rates were nearer the low-end of the teens than the mid. Brazil/China rates also came under pressure, with rates for 1-10 January now under $16.00, with a cargo the previous week fixed at $17.25 for early January. The North Atlantic had shown some resilience, with tonnage tight, but the trading here largely focussed on breach cargoes from the St. Lawrence, with the timecharter equivalent here for cargoes going east nudging the near $30,000 daily in mid-week, but easing as the week closed out. Transatlantic rates improved, with a Puerto Bolivar/Rotterdam cargo covered at an improved $9.65, but this was reported to have failed. Last week began in the same vein as the previous week, with expectation of multiple grain stems flooding the market. However, the reality was more muted, with NoPac activity only increasing towards the end of the week. Despite this, vessels still had to discount to get covered before the holidays. Minerals into India and Indonesian rounds remained busy, with most owners preferring to fix rather than ballast to South America. However, rates there remained fairly steady. 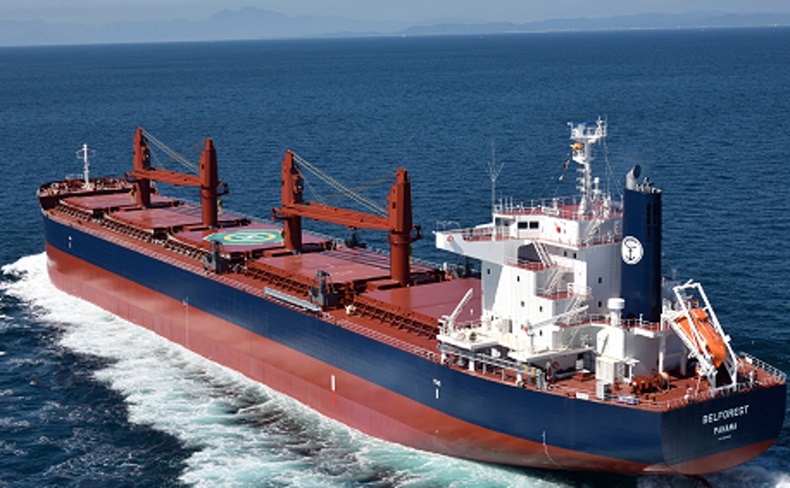 More transatlantic trades were evident, with Kamsarmaxes now fixing around $16,500 back to Skaw-Gibraltar, but in the North, a lack of fresh enquiry saw some discount for short rounds to cover over the holiday period, with a 75,000dwt vessel booked at $9,500. Period interest remained, but with FFA values softening at the end of the week, trades slowed. Not unexpectedly the market slowed as the week progressed, with the festive season going into full swing. Period activity was seen from the US Gulf, with a 57,000dwt open Mississippi River fixed for three to five months trading redelivery Atlantic at $13,500 plus $350,000 ballast bonus. The area also saw the bulk of the week’s activity, with other areas such as the East Mediterranean seeing demand. For transatlantic business, a 63,000dwt was booked for a trip to the East Mediterranean at $21,000. For backhaul business a 63,000 tonner fixed from the East Mediterranean to the US in the mid $10,000s. The Asian market started with initial excitement, but this declined as the week went on and a 55,000dwt was booked delivery CJK trip redelivery Arabian Gulf at $6,000. For round business, a 55,000dwt open Machong fixed a NoPac round at $10,500. There was more activity from Southeast Asia whilst rates remained static. It was a very dull week for the Handysize sector. The trend continued from last week in the key markets with the US Gulf route recording the biggest fall. Brokers suggested little transatlantic cargo but more inter-Caribbean runs this week with tonnage building up in the US Gulf. The rates also further softened in East Coast South America and the Pacific. A 38,000dwt fixed from the US Gulf to UK-Continent at $13,250. A 30,000dwt delivery Recalada was fixed at mid $18,000 for a trip to West Coast South America and a 38,000dwt was booked from the same area to the Baltic Sea at $17,250. In the East a 29,000 tonner fixed earlier in the week from Busan to redeliver in Singapore-Taiwan range at $6,750. A 34,000dwt open in the Philippines was fixed for a trip via Indonesia to China at $8,500 and another similar-sized vessel was booked from Singapore to move alumina via Australia to East Coast India at $8,000 plus an $80,000 ballast bonus.